Identifying, prioritizing and remediating the endless number of vulnerabilities within your IT infrastructure is an overwhelming, yet essential task. Spend time on the wrong vulnerabilities, and you could miss the one that lets criminals into your network. 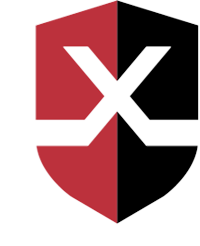 X-Force® Red Vulnerability Management Services can manage your vulnerabilities for you. Our global vulnerability management team works with you to identify your most critical IT systems, tune existing or new scanners to explore your internal and external network infrastructure, identify the most critical vulnerabilities exposing those systems, and remediate those vulnerabilities in a prioritized fashion. Using attack correlation and intelligence sources, the X-Force Red team identifies if a vulnerability is actively being weaponized. Combining that intelligence with knowing which assets matter most to your organization, drives a true risk-based approach to effective vulnerability prioritization. Tired of false positives? The X-Force Red team validates the vulnerability is real and exploitable before it is sent to your security team. X-Force Red also facilitates a concurrent remediation model making the process manageable no matter the size of your team. Once vulnerabilities are prioritized, X-Force Red sends the most critical ones to the remediators responsible for fixing them. After confirming the first batch is fixed, X-Force Red sends the next batch of critical vulnerabilities to remediators. Uncover critical vulnerabilities exposing sensitive IT systems. Validate which vulnerabilities are exploitable to weed out false positives. Automate the prioritization of vulnerabilities. Vulnerability ranking is based on if the vulnerability is being weaponized by criminals and the value of the vulnerable asset. Follow a concurrent remediation model to help ensure your most critical vulnerabilities are fixed first, in a manageable way. Perform out-of-schedule scanning, re-testing or related scanning requests. Hire X-Force Red to present vulnerability management research and findings to your executive team, in their language. Generate executive-level support for prioritizing and patching critical vulnerabilities. Automatically rank vulnerabilities within minutes based on weaponization and asset value. Adopt a concurrent remediation model to enable smooth, manageable and effective remediation. Comply with regulatory mandates such as the GDPR and PCI DSS. Identifying, prioritizing, and remediating the vulnerabilities that matter most. Gartner recommends prioritizing vulnerabilities based on weaponization and asset value. Find out the essential ingredients for an effective and more efficient vulnerability management program.